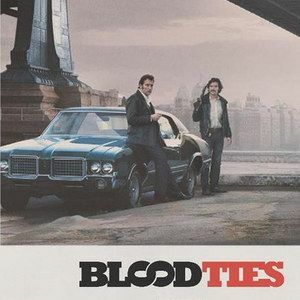 Clive Owen and Billy Crudup star as two brothers whose relationship is put to the test in the international trailer for Blood Ties. In addition, we have the first poster for director Guillaume Canet's crime drama, set in 1970s New York City. Clive Owen plays Chris, a criminal recently released from prison, while Billy Crudup portrays Chris' brother Frank, a successful NYPD cop who wants Chris to start walking the straight and narrow. Watch the latest footage from this period piece, also starring Mila Kunis, Zoe Saldana, and James Caan. New York, 1974. Fifty year-old Chris has just been released on good behavior after several years in prison following a gangland murder. Waiting for him reluctantly outside the prison gates is his younger brother, Frank, a cop with a bright future. Chris and Frank have always been different, and their father, Leon, who'd raised them alone, seems strangely to prefer Chris - this, despite all his troubles.